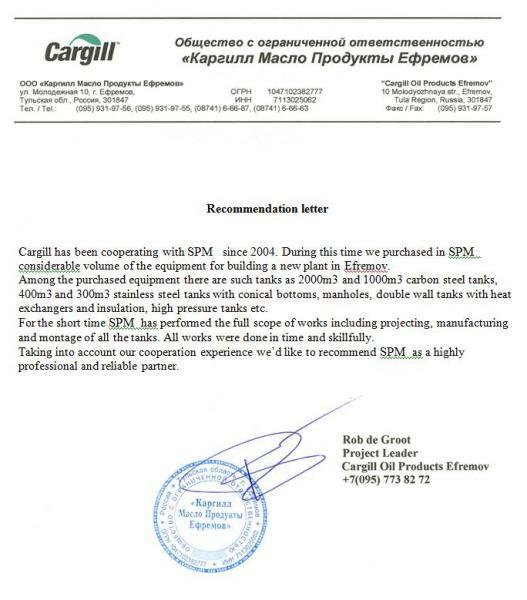 SPM tanks delivered next scheduled equipment (also tanks 100m3) for Cargill Efremov. SPM tanks finished installation of large-sized tanks 940 m3 for Cargill Efremov. SPM Tanks took part in 19-th International exhibition of food, beverage and materials in 'Expocenter"